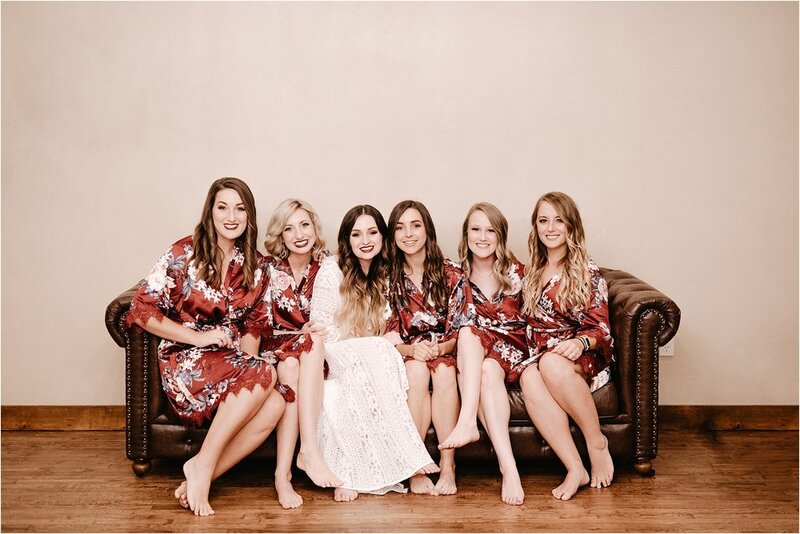 Christina - "My favorite part was seeing everything come together on the wedding day! I had an idea of what I wanted to accomplish with the look of the wedding, but I couldn't picture it all at once. Once everything was et up, I definitely felt like it was perfect!" 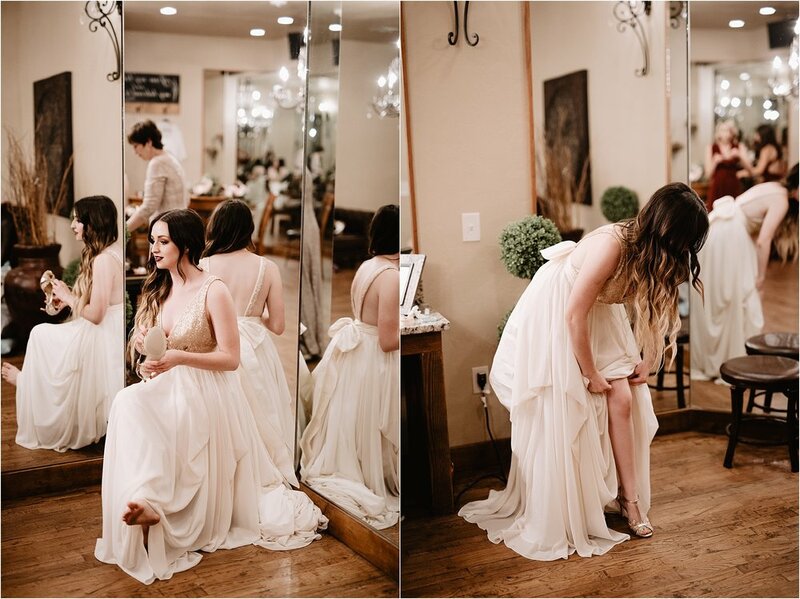 Christina - "My favorite memory was definitely seeing Michael before the wedding. He was blindfolded! 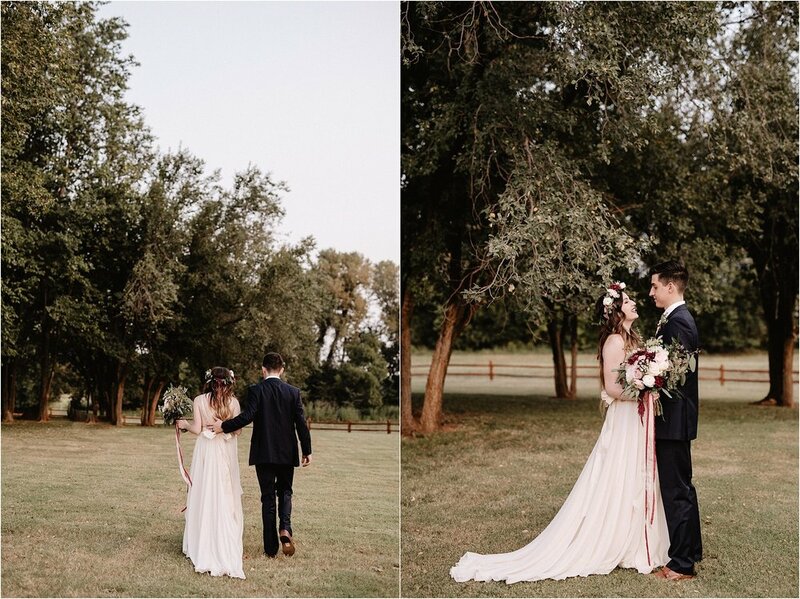 That moment before the ceremony was seriously so special to us. We got to get away from the craziness of the day and just embrace the moment!" Michael - "My favorite memory was waiting for Christina to walk down the aisle. I kept wanting to catch a glimpse of her while the bridesmaid walked down! It was a long walk for her to get to me, but when the time finally came, my initial view of her was blocked by the guests as they stood up (that drove me crazy)! I didn't see her entirely until she was directly in front of me. 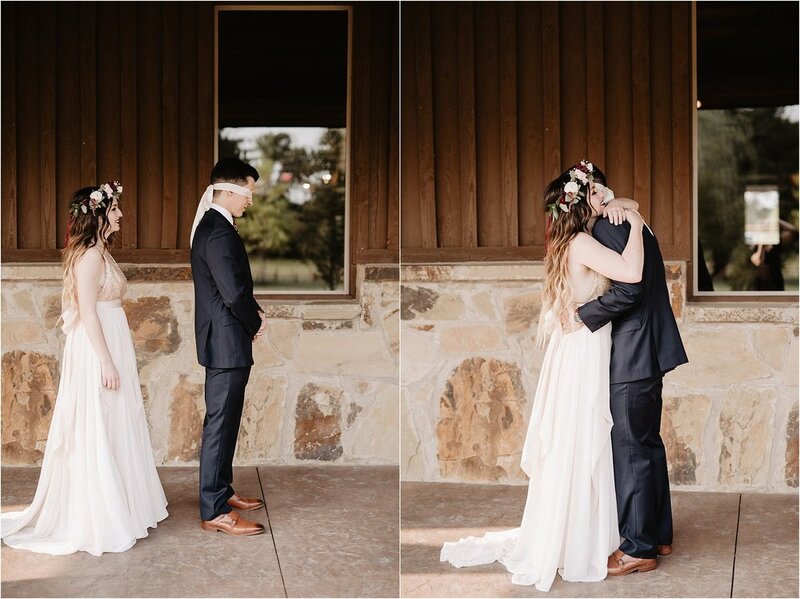 We had a blindfolded first look before the ceremony, so my emotions were definitely all over the place when I finally saw her in her dress. There was so much anticipation to see my bride!" Christina - "Do as much ahead of time as possible! We cut a bunch of the planning details pretty close! But also, try to be present on your wedding day. It's so easy to get caught up in the craziness and not enjoy it! You've worked hard for this day! You want to remember it!" What do you think about your photos? 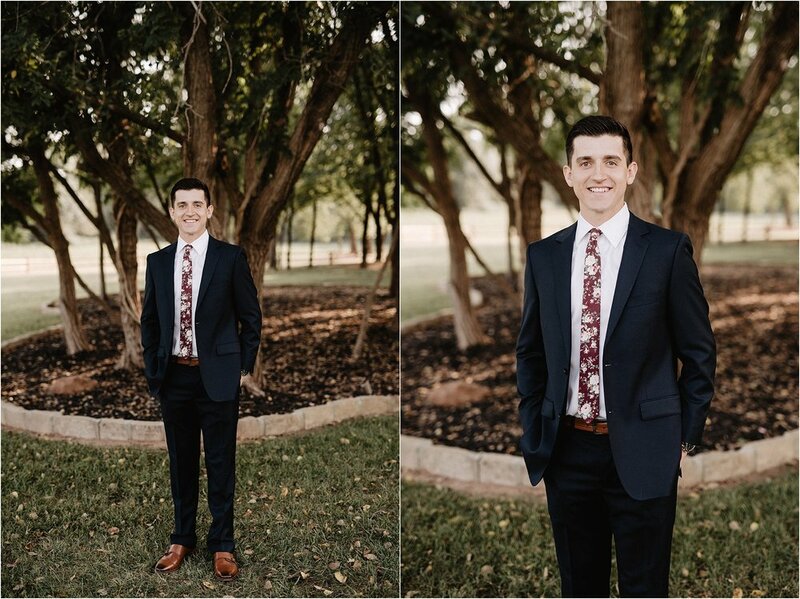 Christina - "My wedding photos are PERFECT! They are everything I dreamed of and match my style beautifully! 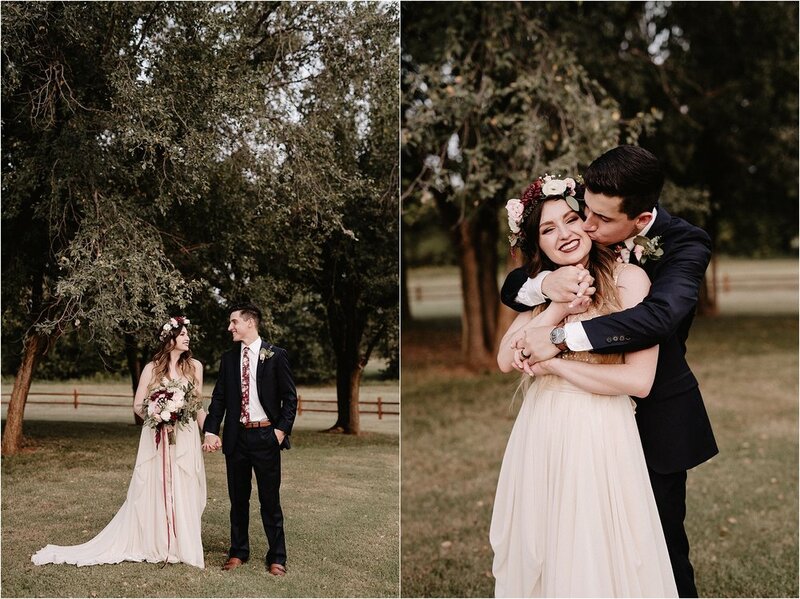 :)"
Christina & Michael had a wonderful team of very talented vendors, check them out! Cake: made by the bride and her mom!